Sweet Roses Chinese Restaurant is one of the best Chinese restaurants in Ghana. They have a wide range of Chinese cuisines available. They currently have the Sweet Roses Marina mall branch and the Sweet Roses Restaurant, Spintex road. Their takeaway sushi pack is one of their popular menu items. It is one of the most affordable sushi meals. Sweet Roses packages its sushi to make it very presentable and attractive. Sweet Roses Marina Mall is the most patronized branch so far. They are one of the few of Chinese restaurants in Accra that do delivery service and is not only efficient but also reliable. They provide services for all classes of people because their food is really affordable. Sweet Roses has commendable customer service and do well to treat you like the King/ Queen you are. They are dedicated to becoming the best Chinese Restaurant in Accra. 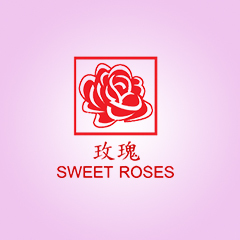 Sweet Roses Chinese Restaurant, Spintex is not available on Pizarea. However, their Marina mall branch is very active on Pizarea. Moreover, being on Pizarea allows customers with busy schedules who love Sweet Roses Chinese Restaurant so much to order their food online and have it delivered to them. The food delivery is fast, safe, convenient and reliable. Whether at home or in the office, your delicious Sweet Roses meal can always be delivered to you. Their food prices are very affordable and the food portions are greatly satisfying. Apart from this amazing delivery service, they offer take out in a very attractive packaging and a huge parking space for all customers who choose to dine with them. Once you dine with them you will always choose to return again mainly because they treat their customers like royalty. When it comes to their meals, they ensure utmost sanitation principles. The sauces they prepare are just to die for and they even have some Ghanaian food on their menu such as fried yam chips with tilapia. They also have the launch box package which gives you the opportunity have an assorted meal at a sitting. For a Chinese delivery Restaurant in Accra, Sweet Roses Marina Mall is one of the best Chinese restaurants in Accra to consider.